I grew up watching crime shows. At my house, Thursday nights were reserved for another episode of Law & Order: SVU. Fridays, there was Dateline. Countless others played across my television screen over the years, but those two have always stuck out for me. The former, because I remember when I stopped watching it. I was just entering high school and every time I watched it, I started to feel uncomfortable. I began to realize how easily I could be one of the women in those stories. Dateline remains memorable because I still occasionally watch it, often relaying the shocking details in conversations later on, discussing all the terrible and horrific things that happened in the episode. Usually, these terrible and horrific things happen to women. I've been wanting to read Sadie since before it had a title. I remember reading the rights announcement years ago and immediately texted my best friend about it. When I had the opportunity to read an early copy, thanks to a generous friend of mine, I jumped at the chance. I had waited all these years and I didn't want to wait a single moment longer. There are a number of reasons that Sadie doesn't fall into the same category as Dateline. But, one of the main difference, for me at least, was that in all my years of watching Dateline, it never once made me question my consumption of violence. Sadie did that on page seven. Sadie opens with West McCray on his podcast "The Girls" and we're introduced to Sadie's story, and that of her late sister Mattie's. As he is setting the scene of Mattie's death, West states that the "gruesome details...will not be a part of this show." I remember reaching that moment and pausing, thinking to myself "wait...they won't?" I had been bracing myself to read them, part of me anticipating just how horrible it was going to be. He continues, explaining that "its violence and brutality do not exist for your entertainment." It was like a slap in the face. Because wasn't that what I was just doing? Waiting for the violent death of a girl to be part of my entertainment. Anticipating its brutality in some sort of grim excitement? It's hard to admit that you've been part of, and perpetuated, a system that uses violence against women as entertainment. Sadie made me question my role in this commodification of violence in just one. single. line. That's the power of a novel like this. I don't know what it says about me that it took a fictional portrayal of violence for me to truly question my role in this commodification. 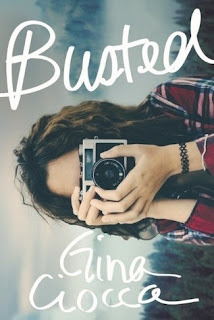 Maybe it's because I've always been able to see myself, see the world, more clearly in books. Maybe it's because I looked externally at how others viewed violence as entertainment, and didn't turn the lens on myself. Maybe it's because I never really had to think about it. In the end, it doesn't matter. In the end, this book reminded me of how insidious our society's obsession with dead girls, with violence can be. Even though I have talked openly and repeatedly about this obsession, I can still be a part of the system that perpetuates it. It was a sobering reminder that my learning is never done. 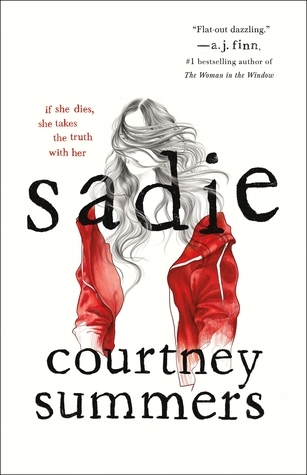 After I read Sadie, it took me a full week to talk to anyone about it. It wasn't because of this internal revelation, but rather, because I felt my words were not enough. I still don't think they are. 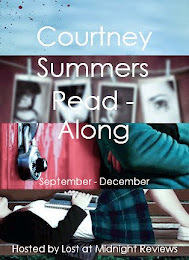 I feel lucky yo have been able to read Courtney Summers books for so many years. To grow with them as a reader and a person. To have had them there for me to learn from. 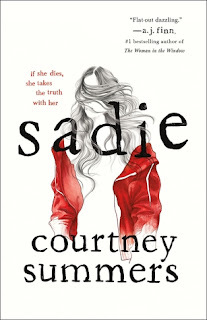 I want to say Sadie is one of the best books I've ever read (and it is) but it's more than that. Sadie is compelling. It is devastating. It is unforgettable. It is unforgettable. Sade is in stores September 4th, and you can pre-order it at any of the fine retailers below. I hope you do. I grew up watching crime shows. I still watch them. But, I'll look at them through a new lens now. And I have Sadie, and Courtney Summers, to thank for that. Don't forget to check out the podcast "The Girls: Find Sadie" wherever you listen to podcasts! This book has been getting a lot of buzz in the YA community, and not just cause it has a fantastic cover. I've only hear amazing things about this debut novel and I can't wait to get a copy for myself. It sounds intense but also fun and romantic and like it'll be a punch to the gut. Mark your calendars for this one! I know I have! I wish more than anything that I was writing about how intriguing, exciting, and mind-blowing this book was. I wish I could sing it's praises. But, I can't. In fact, the longer I sit thinking about this book, the more frustrated with it I became. Because there was so much potential in this story. Or, should I say, retelling. And I think this is where the frustration begins. 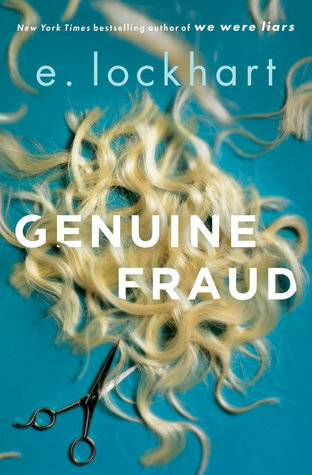 If Genuine Fraud had been marketed as a gender-swapped retelling of a certain famous book/movie and actually did something different with it's execution, I could have been behind it. If it had used this story line as a jumping off point to discuss gender, female friendships, and the perception of women, I would have been all about it. But, it wasn't. Anyways, I'm getting ahead of myself. I want to start by saying: this wasn’t a terrible book. 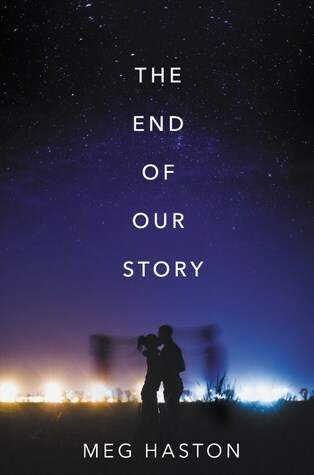 I know I rated it pretty low, but it wasn’t because of the writing, or the overall feel of the book. I definitely did find the pacing to be off at points, but my interest was definitely piqued at the start. That is, until this book started following a path I had already seen before. In an effort not to spoil, I won’t say what book/movie Genuine Fraud mimicked. 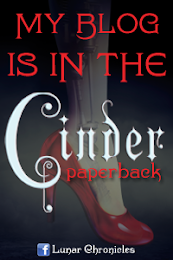 There’s lots of reviews on Goodreads that will tell you. Honestly, it felt like this book was just [redacted] with different characters, different cities, and told as a nonlinear narrative. As soon as I realized the comparison, the suspense immediately dropped off. I knew exactly how it would all play out, which completely took away the thrill. I hoped, even though I knew the plot, that there would be some deeper exploration at work. This book is gender-swapped (in terms of it's original premise) and E. Lockhart is a pretty feminist writer. I was hoping that this would be what it's all about: how women can treat each other, how society views and mistreats women, the psychological effects of obsessive female friendships. Sometimes I read lines that seemed to be going down that path but they were never followed up. Which made me sad about what this book could have been. The thing is, if you haven’t read or seen [redacted] this book was good. An interesting unreliable narrator, the stirrings of obsessive friendship, and a mystery that unravels slowly all blended together to make for an intriguing read. Although I was frustrated, I definitely wanted to see how it would all played out. I’m not the type of reader that needs a definitive ending. I love an exploration of character, a slice of life with no beginning or end. But, it needs a little bit more in the middle, more depth for me to appreciate it. I feel like the focus on the plot, a plot I’d personally already seen, lost me. I just kept wishing for a bit more from this book. On the positive side: I love nonlinear narratives, and I think Genuine Fraud did a good job using nonlinear narrative to its fullest potential. Each step back in time led to new revelations. Sometimes the revelations were small, sometimes much much larger, but they kept me itching to see what would be revealed next. Jule was interesting because you could never quite trust what she was saying. At the beginning of the novel, I was hanging on her every word, intrigued to see behind her mask. I liked pulling on the strings of the mystery, waiting to see what would come next. There were small details and lines that lit up light bulbs in my brain. Even though I knew the plot and that lessened the suspense, I was definitely intrigued to see how it would all unravel. I adore E. Lockhart. 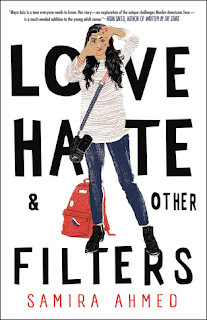 My disappointment in this book is not going to stop me reading her books. She is a smart, talented writer. She often explores gender dynamics, which is why I was sad I didn’t see it more in this book. And, I wouldn’t say to skip Genuine Fraud. It wasn’t a book for me, in the end, but it was captivating at points. I know lots of people are going to enjoy it. I, unfortunately, just didn’t end up being one of them. P.S. If you haven’t read The Disreputable History of Frankie Landau-Banks yet, honestly get on that it is twenty shades of brilliant.